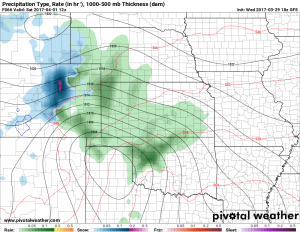 Tracking The Next Storm… Could This Be The One? There were two sides to last night’s storm and how you looked at this storm depended on if you’re a snow lover or rain lover. Snowfall totals were impressive in the foothills and mountain areas right along the Continental Divide, but for those along the Palmer Divide? We ended up quite a bit lower than the forecast amounts. I posted this image late Tuesday night as I watched the snowfall totals drop like a rock on the later model runs. A huge complex of thunderstorms set up to our East and while you may think these are too far away to impact us, they do play a pretty significant role. 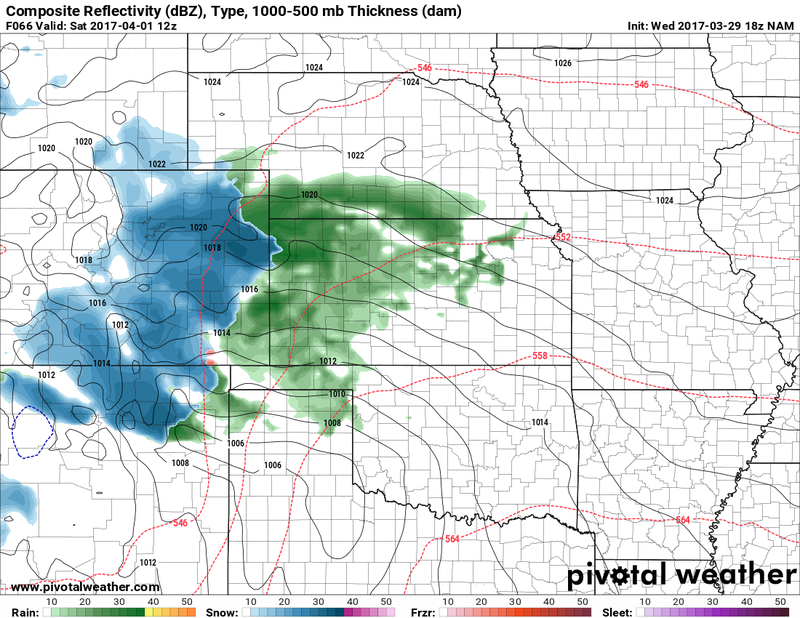 As the low pressure system wraps moisture around its axis (and from Kansas into Colorado for our upslope) a large complex of storms like this can act like a sponge and wick up a lot of this moisture. 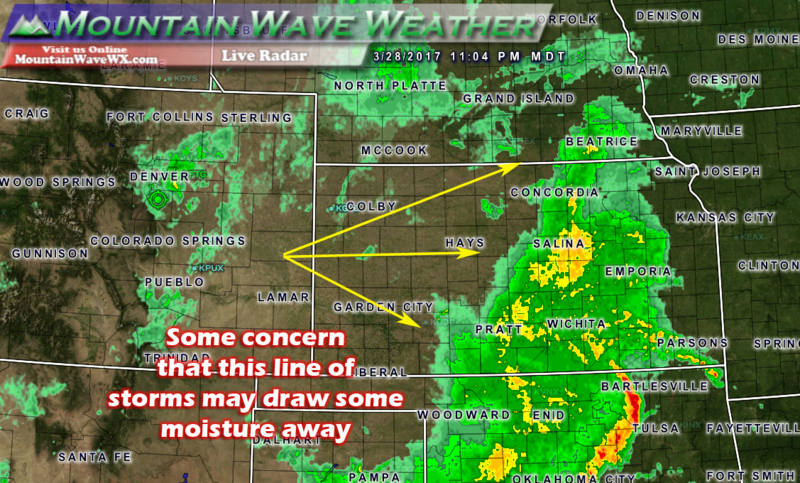 The result for us along the front range is a strong upslope regime, but much less moisture to work with. We see this sometimes in spring storm systems, whether these thunderstorms set up or not can mean a huge difference in how much (if any) snow we see, so keep an eye out for setups like this in the future. 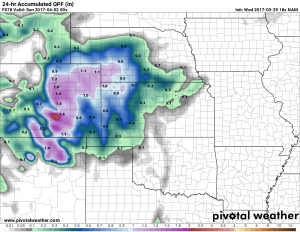 If the models are showing tons of snow and you see something like this, it means you can probably expect our snowfall totals to drop very soon. 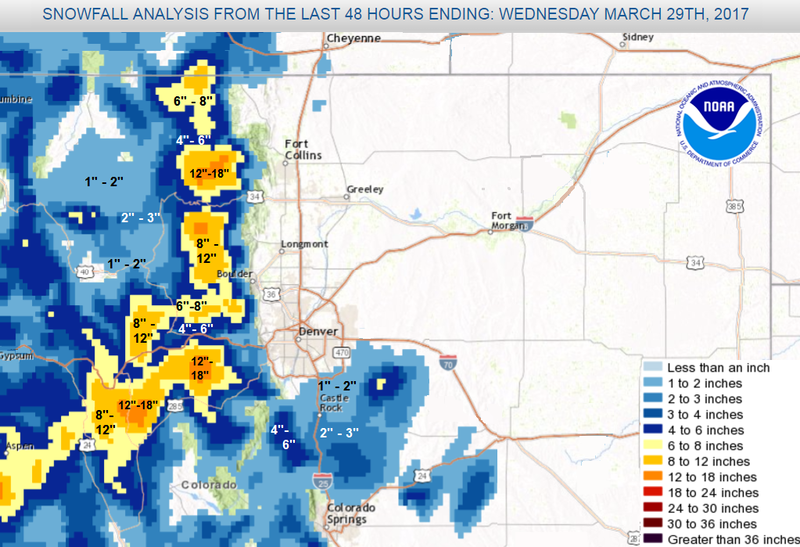 The good news is, we received a ton of beneficial moisture along the front range, anywhere between .5 to 1 inch of liquid precipitation fell, this should help our drought status immensely across the front range. Now on to what everyone has been waiting for! This weekend we are expecting yet another strong storm system to move into the area. Just like the past two, this thing has a ton of energy and moisture to work with, so all in all that’s good news. Notice that while both models bring significant precipitation to the front range, they differ on temperature and therefore precipitation type. If the GFS were to verify in this case; we’d expect to see a warmer, wet and sloppy snowstorm similar to the ones we’ve had the past week. Snowfall amounts would be low as temperatures would be right around that freezing mark. 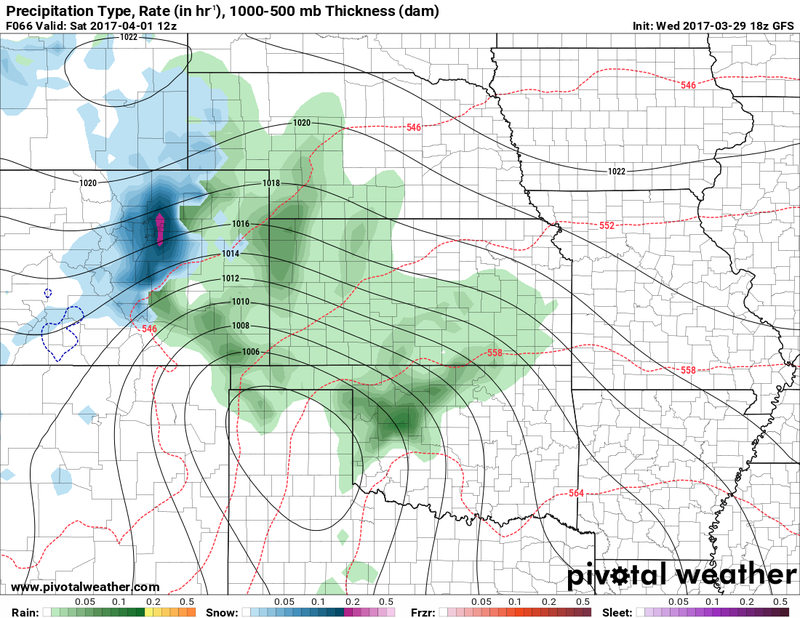 If the NAM were to verify we would be looking at a more significant storm with heavy snowfall totals. 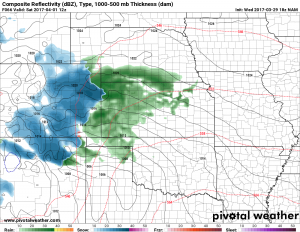 The NAM brings colder air and for what it’s worth, has the low tracking across the state slower and could mean a more extended snowfall period for the front range! The past two storms have looked like strong snow producers up until the final hours… then snowfall dropped off considerably. This storm actually seems to have more moisture to work with than the past two, the big question is can we get enough cold air in here to make for a better snowfall situation? That’s a lot of juice! 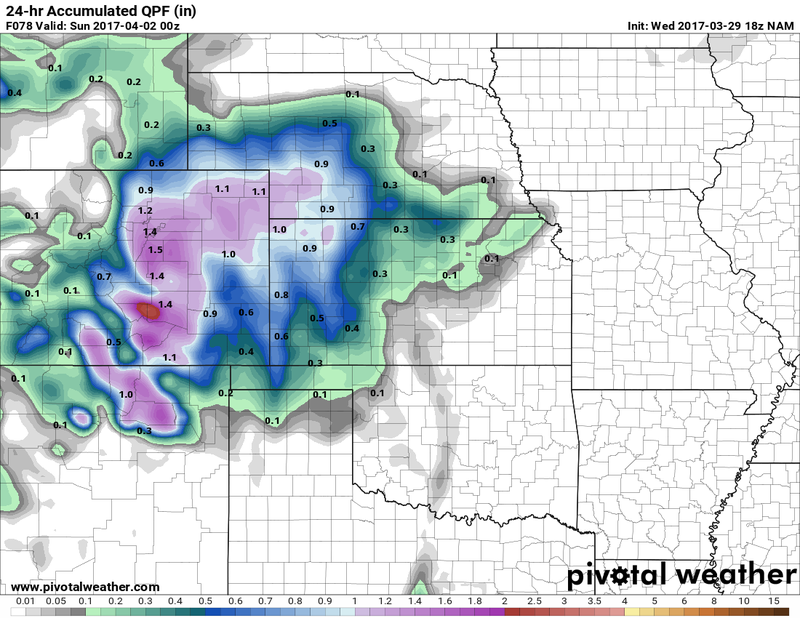 The model above is the NAM QPF or quantitative precipitation forecast and basically shows how much liquid precipitation is expected to fall. 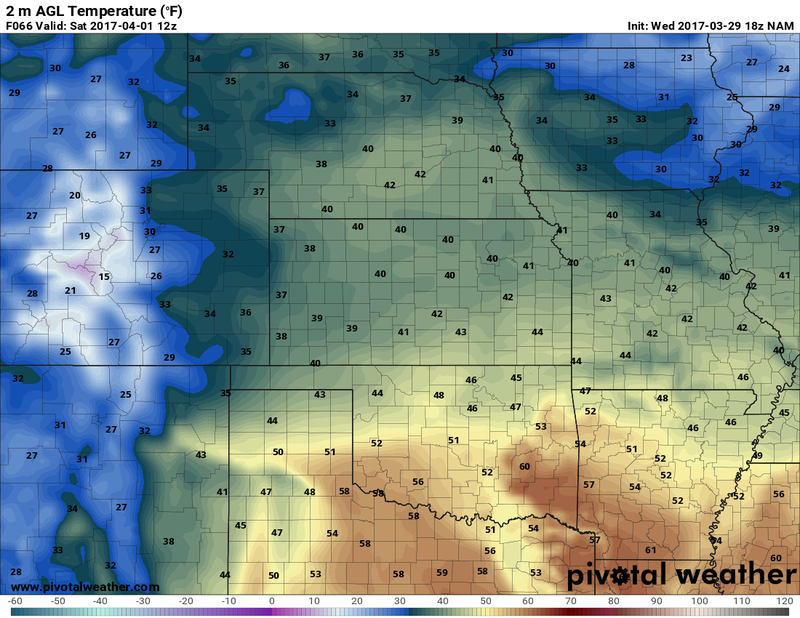 By looking at this with a combination of temperatures forecast you can ballpark snowfall accumulation. Let’s just say that this is a lot of moisture and should a healthy portion of that fall as snow, we could be looking at a doozy! The big BUT here is that temperatures look marginal again for lots of freezing precipitation. It looks well much warm currently to snow much during the day and just barely cool enough to at night. This means at this time, the forecast can go either way and uncertainty is incredibly high. Basically anyone telling you for sure that they know what this storm is going to do (saying all just rain, or saying 3 feet of snow) is off their rocker. For now just keep in mind we’re in for another strong storm somewhere in the Friday through Sunday time-frame. This storm has the POTENTIAL for significant snowfall but we are not committed to calling it that way until we get more information and data. For now, stay tuned here for updates!